Victoria Sport & Social Club creates a better community for adults to live, play, work and connect. We provide the largest, most organized and FUN outlet of co-ed sport leagues, tournaments, social events and classes. 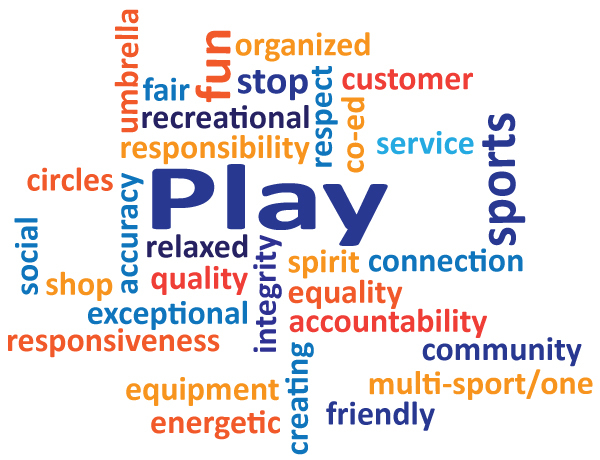 We connect people of all ability levels to play actively together while providing them with superior customer service through our full time staff. VSSC provides adult co-ed, recreational sports leagues, tournaments, and social events for active people aged 19+. These leagues are a great way to get exercise, meet friends, expand your social circle, or learn a new sport! The leagues run year-round with three distinct seasons: Fall, Winter, and Sprummer (spring/summer). Check back every season to see which new and exciting sports we are adding to our line-up! Are you new to the city? Are you looking to make new friends and expand your social network? Then VSSC is the place for you! We have fantastic partners that offer amazing deals to our members and we strive to offer an ever-expanding selection of social activities and events. When you sign up with VSSC, you automatically become a member of the club! This entitles you to the many added-value benefits and perks from our growing list of sponsors and the opportunity to take part in all of our fun sports and social events! Social Events – Wine Tasting, Lobster Dinner, Beer & Scotch Food Pairing, and more! Wrap Parties – At the end of every season we have a celebration party attended by many members! Winners of the leagues get t-shirts and trophies and there are plenty of prizes to be given away! Partner Pubs – Looking for somewhere to have a few drinks and free appetizers after your game? Head to our partner pub for great VSSC member specials!